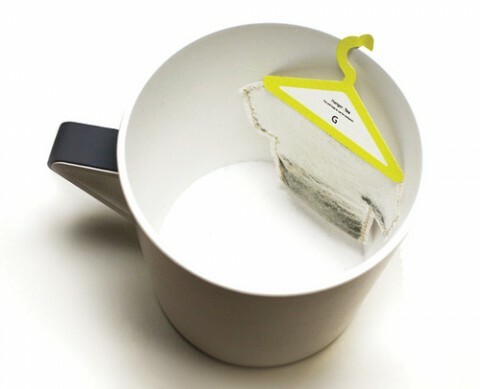 Hanger Tea by Soon Mo Kang. I agree with NarryLikes : Design that makes you smile and most likely drink more tea. Cute, but how were these not called “Tea Shirts” ? No more burning fingers trying to remove the tea bad! These are amazing. It has been a tea-themed day for me so this was a pleasure to see. The packaging is my favorite part, very clever. Too cute! I love the little wardrobe box they come in! But where can I GET this?? I keep sending links from your blog on my housemate – first it was the food pod, and now it’s this (we’re both tea obsessed). Our home clearly needs both. I like the mug in the third picture. 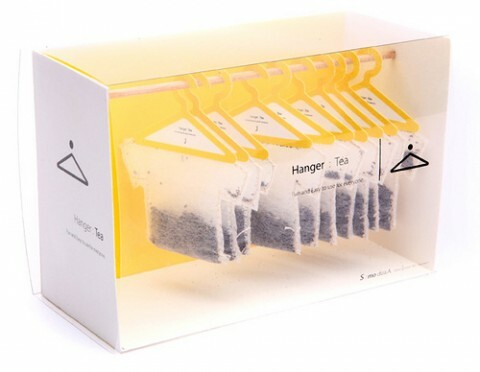 What a brilliant idea, so well executed… I agree “tea shirts” would have been even better! So goofy. Wish I had seen this six months ago. These are so clever. Nothing like mixing the art of tea with art in general ;)! Great design! The box makes it perfect. Thanks for the smile! I really love this! I drink a lot of tea already but now I want even more. Wow, where can we get these? Would look great in our t-shirt-store. Would look great next to our logo. Ugh, More tea bags made of plastic. Since when it is now ok to dip plastic in hot water that you drink? where can we buy these????? yes, are these available to buy? A pity they’re bound to go stale and flavorless really fast since they’re not protecting the tea from air at all. What a cute idea! Where are they being marketed? Je suis agée de 37 années . J’ai repris mes études pour etre professeur d’arts plastiques . il semble que je suis timide.